How To Make An Ability Guidebook! If you would like to make an Ability Guidebook for your own community–Let’s do it together! Drop me a message on twitter @2014ortoy (I get spammed on here way too much to filter out the real messages!). If you take the pictures, I’ll help with the text and formatting! Until then, here is an Ability Guidebook on how to make an Ability Guidebook! 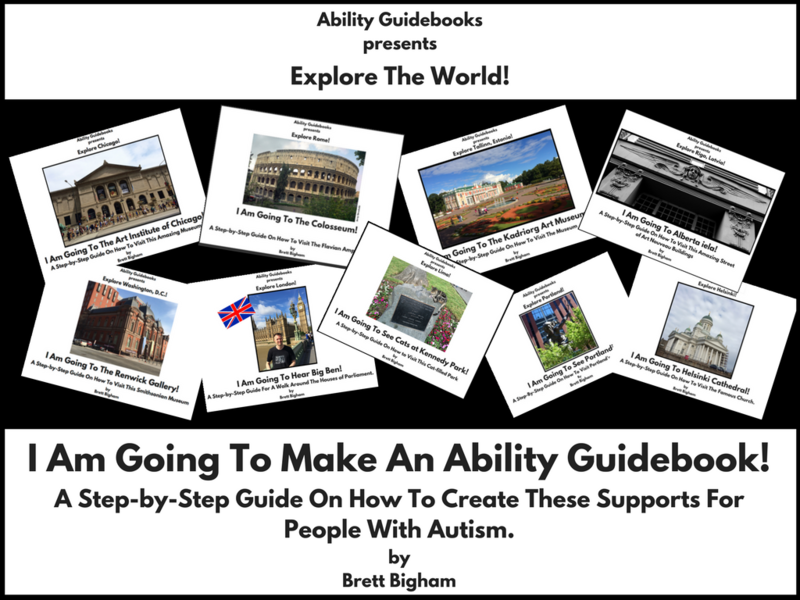 Author Brett BighamPosted on November 20, 2017 November 20, 2017 Categories Ability GuidebookTags Ability Guidebook, autism, autisme, autismo, brett bigham, oregon, teacher of the yearLeave a comment on How To Make An Ability Guidebook! C’est magnifique! I Am Going To St Paul’s Is Now In French! A Free Support For People With Autism. Thank you Mike for surprising me with a French version of I Am Going To St Paul’s Cathedral! I love it when he does that! 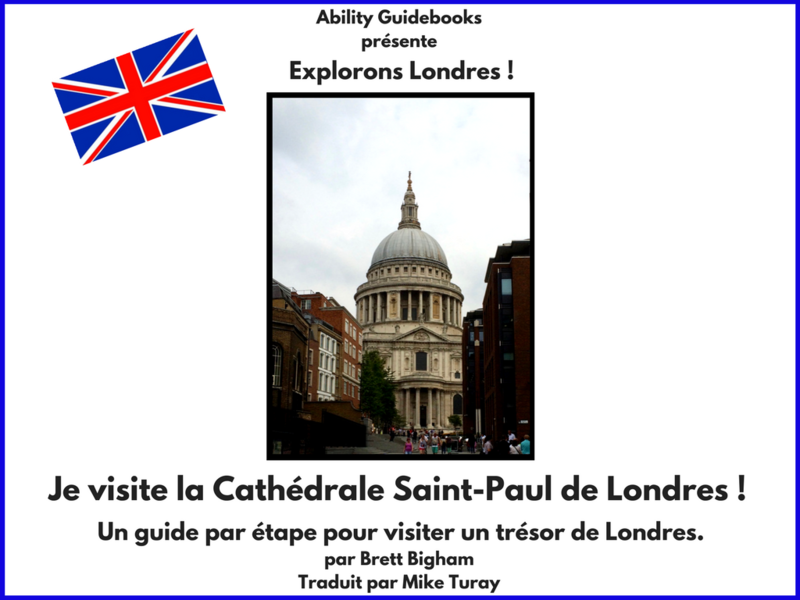 French Ability Guidebook_ I Am Going To St Paul’s Cathedral! Author Brett BighamPosted on November 20, 2017 Categories Ability GuidebookTags Ability Guidebook, autism, autisme, autismo, brett bigham, French, la Cathédrale Saint-Paul de Londres, London, oregon, St Paul's Cathedral, teacher of the yearLeave a comment on C’est magnifique! I Am Going To St Paul’s Is Now In French! A Free Support For People With Autism. I Am Going To The Museum of the Ancient Agora of Athens! The Agora Museum is a very easy place to visit. Much of the museum is outdoors, the rooms follow a straight line so it is not overwhelming with twist and turns and, best of all, if anyone is feeling stressed out, they can go sit in the Agora and take a break. 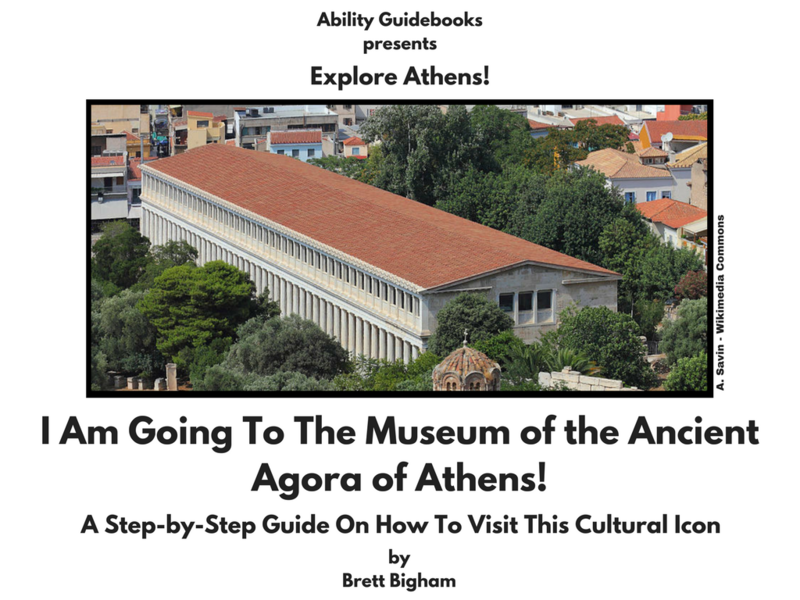 Ability Guidebook_ I Am Going To The Museumof the Ancient Agora of Athens! 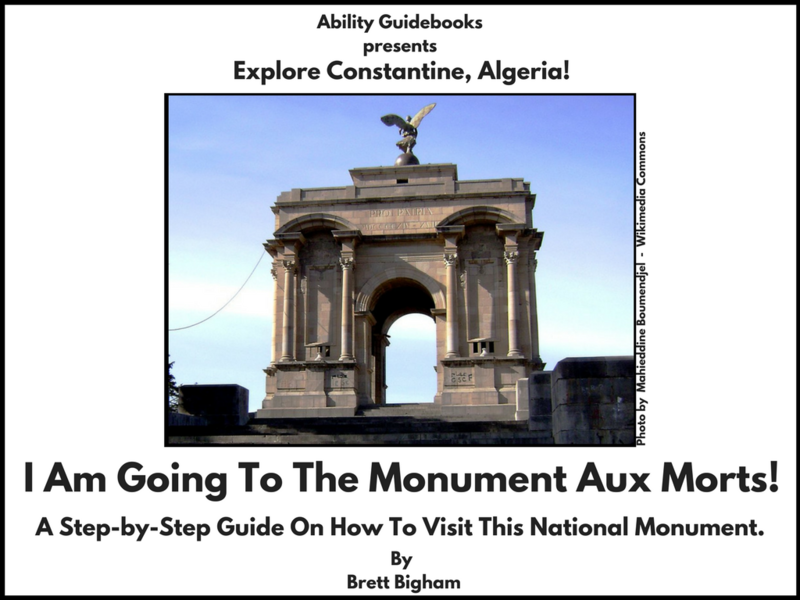 Author Brett BighamPosted on November 17, 2017 Categories Ability GuidebookTags Ability Guidebook, Athens, autism, autisme, autismo, brett bigham, Greece, Museum of the Ancient Agora, oregon, teacher of the year, αυτισμόLeave a comment on I Am Going To The Museum of the Ancient Agora of Athens! 100!!!! The 100th Ability Guidebook is for Oslo, Norway! I Am Going To Frogner Park! It has taken several years to get here but I just finished the 100th Ability Guidebook! This makes 27 countries that now has these free supports for people with autism. Frogner Park is home to the Vigeland Sculptural Arrangement. There are over 200 statues by Vigeland spread throughout the park. Many are irreverent and modern, some are thought-provoking and one statue called “Surprise” should break your heart. The model, Ruth Maier, was sent to Oslo by her parents in 1939 to protect her from the rise of Hitler. Three years later she was dragged from her home by Norwegian police and handed over to the Nazis. Ruth would be murdered five days later in Auschwitz. This statue gives viewers a rare opportunity to remember how this twenty-two year old Jewish girl’s life disappeared from the face of the earth. Ability Guidebook_ I Am Going To The Vigeland Sculptural Arrangement! 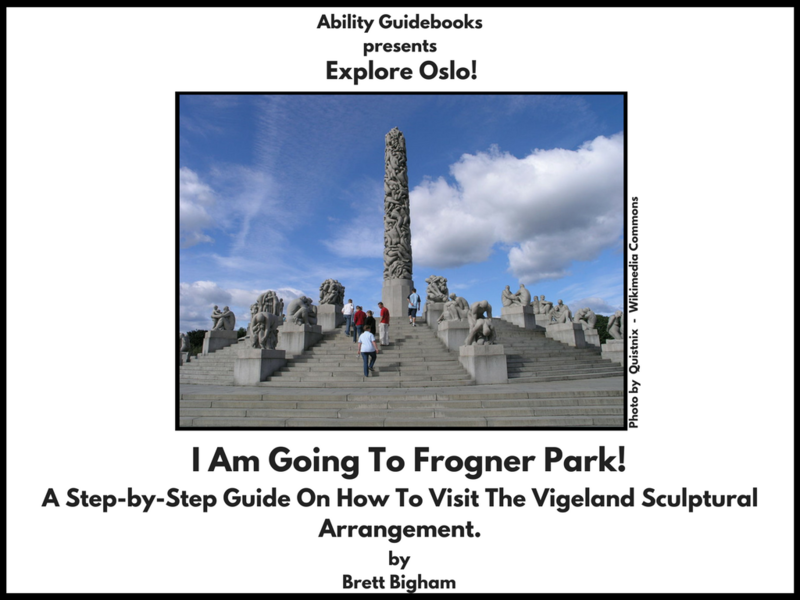 Author Brett BighamPosted on November 10, 2017 Categories Ability GuidebookTags Ability Guidebook, Auschwitz, autism, autisme, brett bigham, Frogner Park, Frognerbaden, Frognerparken, holocaust, oregon, Ruth Maier, teacher of the year, Vigelandsanlegget er navnet på skulpturanleggetLeave a comment on 100!!!! The 100th Ability Guidebook is for Oslo, Norway! I Am Going To Frogner Park! Sweden Has Its Second Ability Guidebook! I Am Going To Drottningholm Palace! This book goes with the book on how to visit the Drottningholm Palace Gardens. This book includes the Palace where the other is only the Palace Gardens. 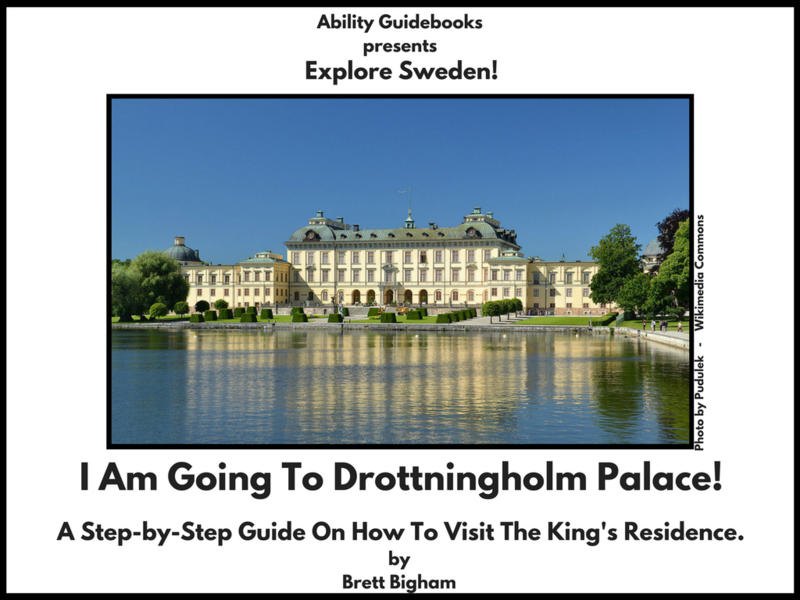 Ability Guidebook_ I Am Going To Drottningholm Palace! 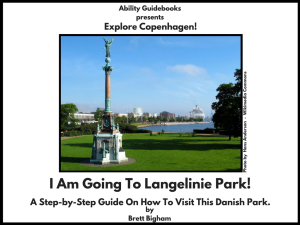 Author Brett BighamPosted on October 31, 2017 Categories Ability GuidebookTags Ability Guidebook, autism, autisme, brett bigham, Drottningholm Palace, oregon, Stockholm, Sweden, teacher of the yearLeave a comment on Sweden Has Its Second Ability Guidebook! I Am Going To Drottningholm Palace! George Town, Malaysia’s Goddess Of Mercy Temple Has An Ability Guidebook! One of my favorite places to visit in George Town is the Goddess of Mercy Temple. It is a small space, as temples go, but crowded with history and faith. I hope this Ability Guidebook will help people with autism visit this historical and wonderful temple. 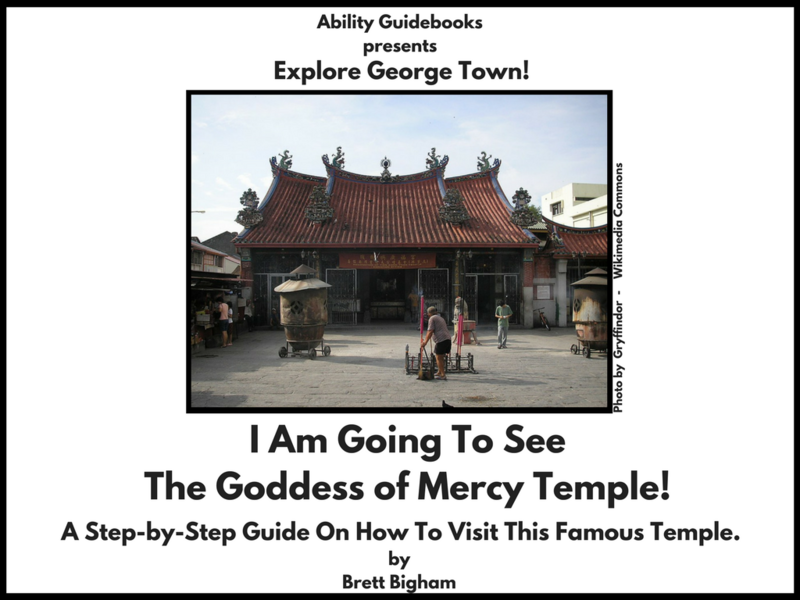 Ability Guidebook_ I Am Going To The Goddess of Mercy Temple! Author Brett BighamPosted on October 30, 2017 October 30, 2017 Categories Ability GuidebookTags Ability Guidebook, autism, autisme, brett bigham, George Town, Goddess of Mercy Temple, Kong Hock Keong, Kuan Yin Teng, Malaysia, oregon, Penang, teacher of the yearLeave a comment on George Town, Malaysia’s Goddess Of Mercy Temple Has An Ability Guidebook! Bon Jour Paris! I Am Going To The Arc de Triomphe! A Support For People With Autism Who Want To Visit This Cultural Icon! This is the first book for France! It is awesome to add a new country! I’ve been thinking I’ve been neglecting my own country. I’m going to challenge myself to make an Ability Guidebook for every state in the the US! I know that is a lot, and it will take years, but photo sharing is allowing me to make books for places where I don’t have current pictures. This book, for instance, is made from all Wikimedia Commons pictures. I have been to the Arc and have my own pictures, but they are glued in albums and taken in 1987 or 1990. Wikimedia is making all the difference! 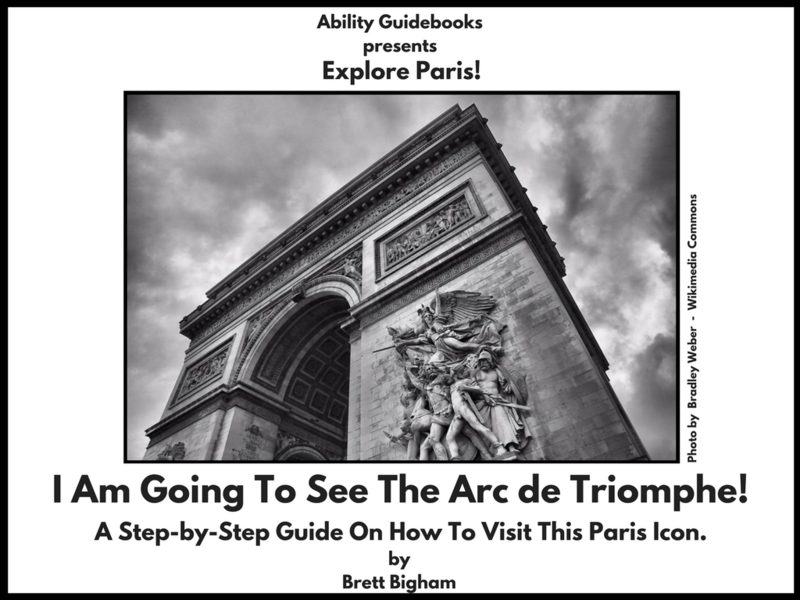 Ability Guidebook_ I Am Going To The Arc de Triomphe! 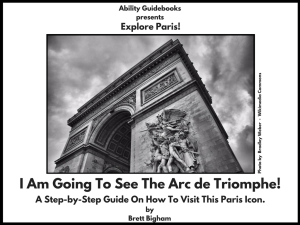 Author Brett BighamPosted on October 28, 2017 Categories Ability GuidebookTags Ability Guidebook, Arc de Triomphe, autism, autisme, brett bigham, France, oregon, Paris, teacher of the yearLeave a comment on Bon Jour Paris! I Am Going To The Arc de Triomphe! A Support For People With Autism Who Want To Visit This Cultural Icon! The Netherlands Gets Their First Ability Guidebook! I Am Going To The National Monument! Amsterdam is one of my favorite cities in the whole world. I hope this support for people in Amsterdam with autism will help broaden their world. Dam Square is the historical heart of Amsterdam and a place rich with history. 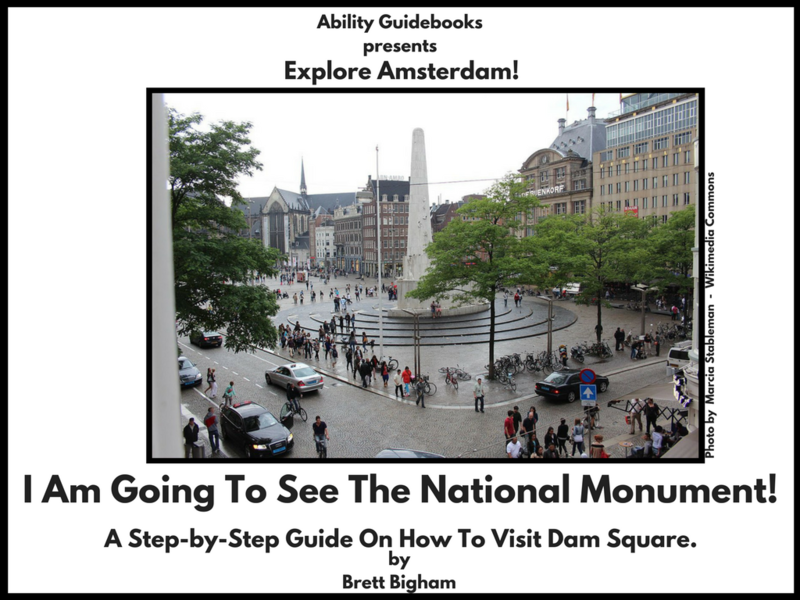 Ability Guidebook_ I Am Going To See The National Monument! Author Brett BighamPosted on October 26, 2017 Categories Ability GuidebookTags Ability Guidebook, Amsterdam, autism, autisme, brett bigham, Nederlands, oregon, teacher of the yearLeave a comment on The Netherlands Gets Their First Ability Guidebook! I Am Going To The National Monument!